Withered Freddy sings the original Freddy Lullaby. Withered Freddy summons his animatronic friends to Fight and March. 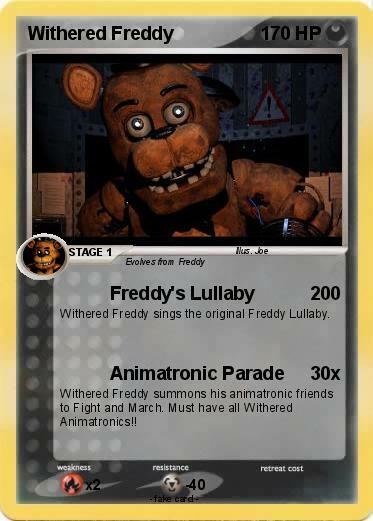 Must have all Withered Animatronics! !